Typically, when you move into a new home all the appliances are new as well. But that doesn’t mean there on the same schedule when it comes to wearing out or breaking down. The hardest working appliance in your house is probably your refrigerator. After all, it’s the one appliance that is constantly running. That might mean the refrigerator is the first to go. However, they are designed with longevity in mind. Your wash machine might be on the fritz first just because of how often you use it. All of this means is that sooner or later you’re going to have to replace your appliances. When it is time to take care of old appliance removal one call to Junk King Jacksonville gets the job done. You can often tell when your neighbors have gotten new appliances. That’s because the old ones are often shoved out onto the porch or the side of the house. Sometimes you even go to the effort of putting those appliances out on the street and hope someone will come along and pick them up for scrap metal. But that usually doesn’t work just become someone else’s problem. 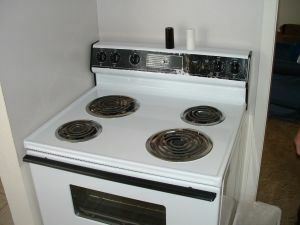 Junk King Jacksonville has a lot of experience with appliance removal. Not only will they dispatch a team that is capable of lifting and loading any heavy object but they also know where that old appliance should end up. Many appliances can be recycled which is a good thing for the environment. If you’re just upgrading in the appliances still functioning, then Junk King Jacksonville can turn it over to a charity for little refurbishing. It’s all part of the complete junk removal service. It’s also easy to schedule Junk King. You can set up your appliance removal appointment for the morning on the same days your afternoon delivery of the new appliance. You have plenty of time in between to clean the kitchen floor! Although your focus might be on appliance removal is no reason why Junk King Jacksonville can take care of the rest of your unwanted clutter the same trip. You can load up that truck with as much furniture, clothing or other debris that you want to get rid of. Appliance removal and junk hauling is easy when you turn that task over the Junk King Jacksonville. This entry was posted in Jacksonville appliance removal and tagged appliance removal, clutter, junk, junk King Jacksonville on July 31, 2017 by Junk King. Last updated July 31, 2017 .